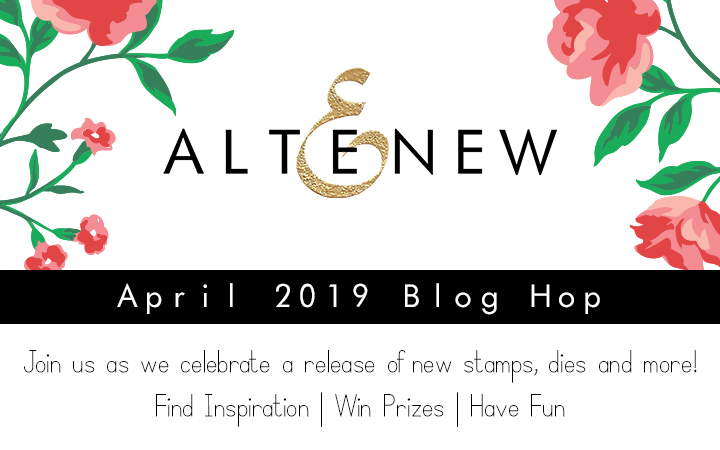 Altenew // April 2019 Stamp/Die/Stencil/Paper Pack Release Blog Hop + Giveaway - Site de sorayamaes ! Le départ de ce Blog Hop se faisant sur le blog d'Altenew, vous venez juste de visiter celui d'Agnieszka, Cool! Vous êtes bien arrivés sur mon blog et je vous souhaite la bienvenue sur le Donut à Paillettes! :) Je suis très heureuse de participer à ce grand événement et je remercie May Sukyong Park pour l'invitation! 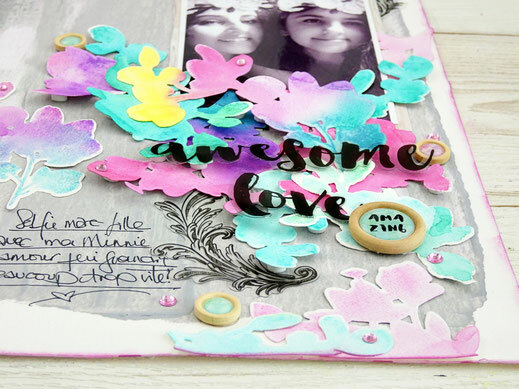 As the Blog Hop starts from the Altenew Card blog where it's hosted, I guess you've just visited Agneszka's blog so welcome! You're here on the "Sparkling Donut"! :) I'm so happy to participate and I thank May Sukyong Park for inviting me! 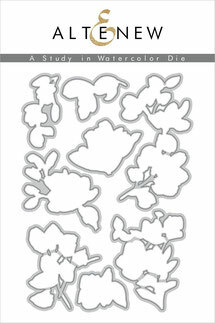 Toutes les fleurs de cette page ont été tamponnées avec les Distress Oxide puis découpées avec les dies assortie pour enfin être révélées avec de l'eau afin de faire ressortir ce côté aquarelle! 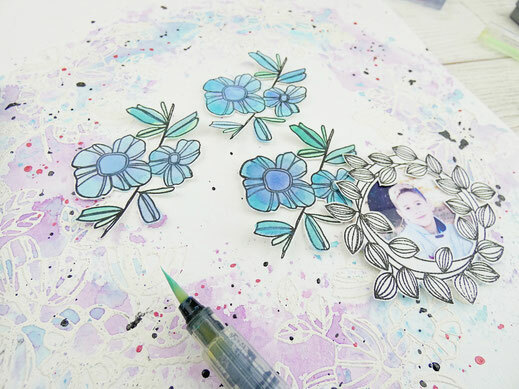 All the flowers are stamped with Distress Oxide inks then cut out with the coordinated dies and finally revealed with water for this perfect watercolour effect! J'ai utilisé de la peinture acrylique pour réaliser ce fond de page gris aux nuances de rose poudré. J'avais besoin d'un fond assez foncé pour contrasté avec les fleurs si colorées et pétillantes! I used acrylic paint to create the background. I needed a high contrast colour combo (grey + pale pink) to showcase all those colourful watercolour flowers! 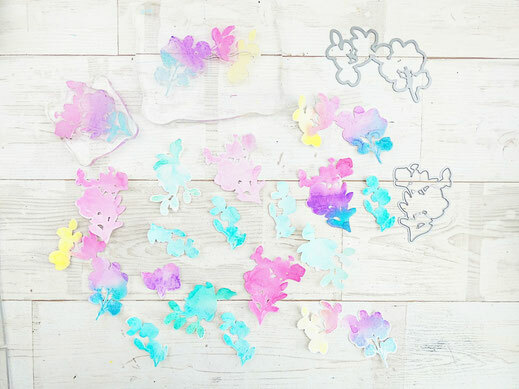 Pour cette page, je me suis régalée à tamponner, embosser et coloriser des tas de fleurs pour garnir cette page blanche sans toutefois la charger! Le fond est réalisé avec les Ecoline Brush et beaucoup d'embossage à chaud en blanc opaque^^ J'ai TOUT découpé à la main mais sachez que les dies assortis sont disponibles dans la collection! For this second project, I had a lot of fun stamping, heat embossing and colouring tons of flowers! I wanted to fill this white page without overwhelming it. 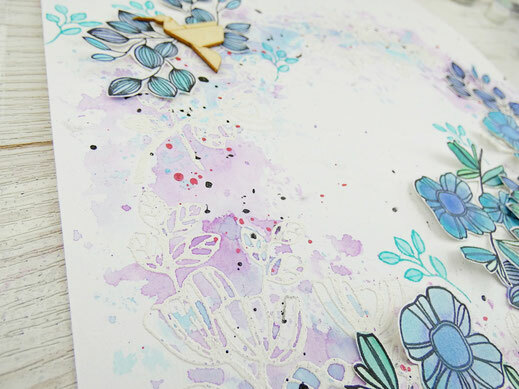 The background is made with white embossing flowers and watercolour. 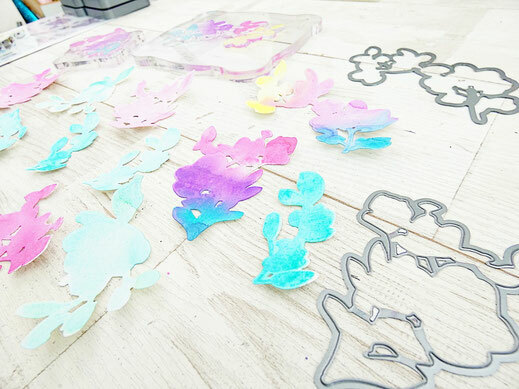 I cut everything by hand but the coordinated dies are available in the collection! Pour célébrer ces nouvelles sorties produits, Altenew offrira un bon d'achat de 50 dollars à 6 chanceux! 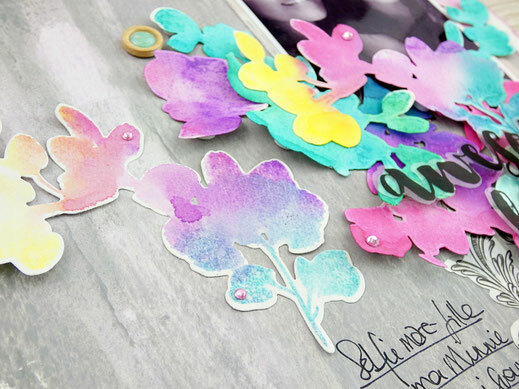 Pour avoir une chance de remporter ce giveaway, il vous suffit de laisser un commentaire sur le blog carterie d'Altenew ou sur leur blog de scrap avant le 22 avril 2019. Ils désigneront également un gagnant qui recevra un bon d'achat de 20 dollars, en tirant au sort parmi les commentaires que vous laisserez sur le blog de chaque designer de la liste ci-dessous. Tous les gagnants seront annoncés sur le blog carterie d'Altenew, le 4 mai 2019! Bonne chance à tous! - Good luck everyone! The layouts are very beautiful. Love the new release. It is fabulous! I love how you used the silver to make the background. Lovely. I love the painted background! These are beautiful. I love the colors that you used. Great job! Lovely layouts! Your flowers are so pretty! These are both beautiful! 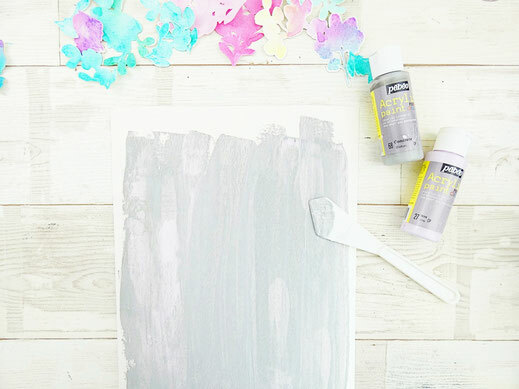 Love the soft colors you used! I absolutely love both layouts Soraya! 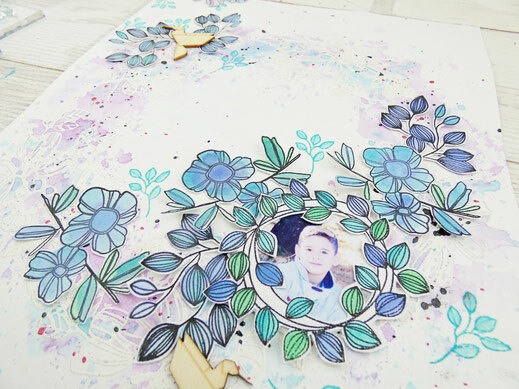 I especially love how you created the first background with the paint and the bold stamped images! Thanks for the inspiration! Magnifiques pages ça donne envie de s'améliorer! Bravo! Your layouts are amazing!!! Please frame them! The colors are awesome! Love the way you put these together, gorgeous! 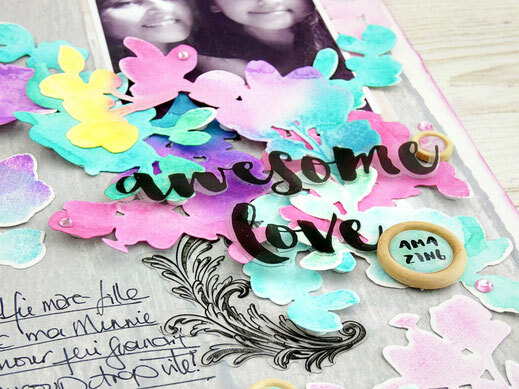 lovely layouts and colour combos! You did a fabulous job on these! Your layouts are so beautiful and so creative. I love the waterdoodle set and the colors you chose. What incredible keepsakes. Stunning layouts. Just beautiful. 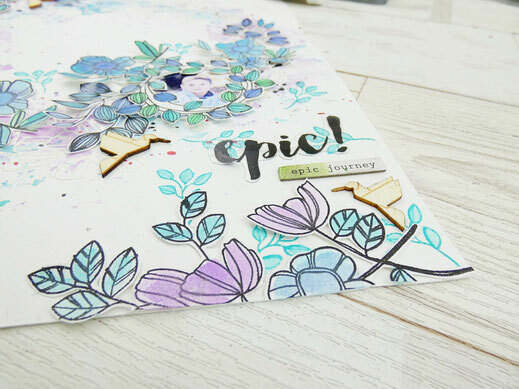 I especially love the colors in the 'Epic' layout. 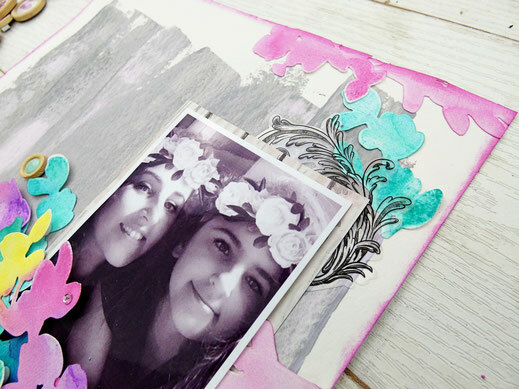 Gorgeous delicate layouts, Soraya! Thanks so much for sharing the wonderful inspiration! Your layouts are magnifique! Beautiful design & colours that you will enjoy looking back on in the years to come. Wonderful pages! Love your floral designs. Your layouts are so beautiful. Gorgeous color schemes! Wonderful job. Great use of the Altenew products. Thanks for sharing your creativity! Lovely layouts and colors. Thanks for sharing. What a pretty new release! Looking forward to seeing what all the designers have created! This is a lovely layout. I like the gray background. The flowers and background of your second layout are lovely. 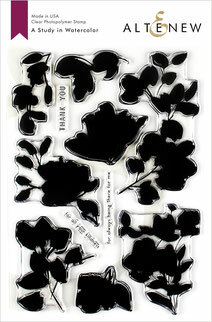 I love your visions for this stamp set! Your layouts are colorful and beautiful. 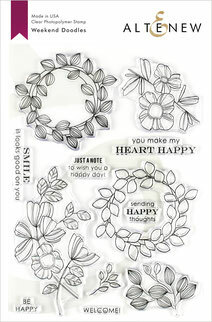 The subtle white embossing of the Weekend Doodle images under all the soft colors adds a kiss of Magic to your layout! What lovely layouts! 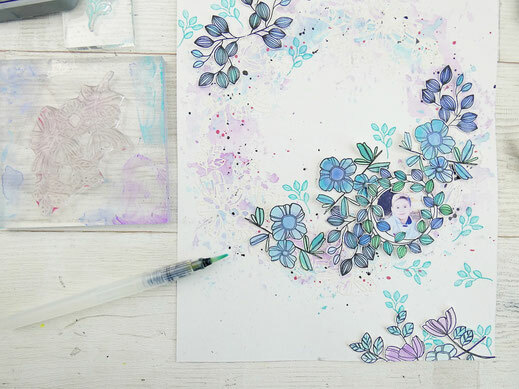 All those watercolor florals are stunning. I love the name “sparkling donut”. Made me smile. I love the beautiful colors you used in your layout. So gorgeous!! Stunning layouts! Such fantastic photos and so beautifully enhanced by your designs. Your layout is stunning!! 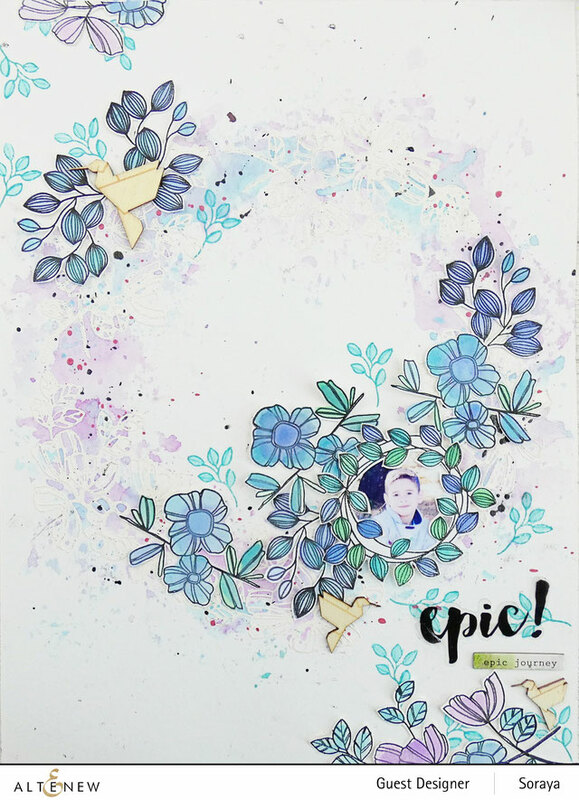 It's honestly one of the most beautiful layouts I've seen with its watercolour background and white embossing...a common technique but I love how dreamy you made yours! I just pinned it because I love it so much. Thank you for sharing!! 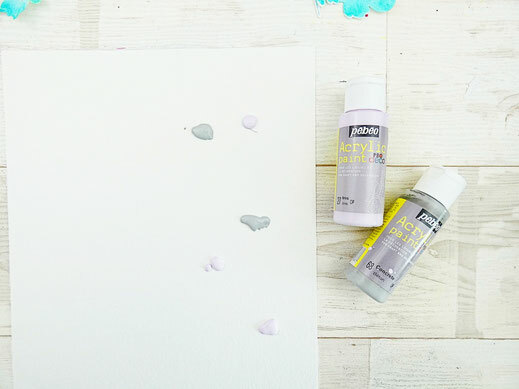 Your colors are lovely on your layouts, and I especially like how you used the soft grey to tone down the background. Thanks for sharing with us! Tres beaux pages.J'adore la maniere que tu as utilisé les products.Merci pour l'inspiration! Beautiful layouts! I love both of the backgrounds - gorgeous! Beautiful pages. Lovely layouts and gorgeous colors. 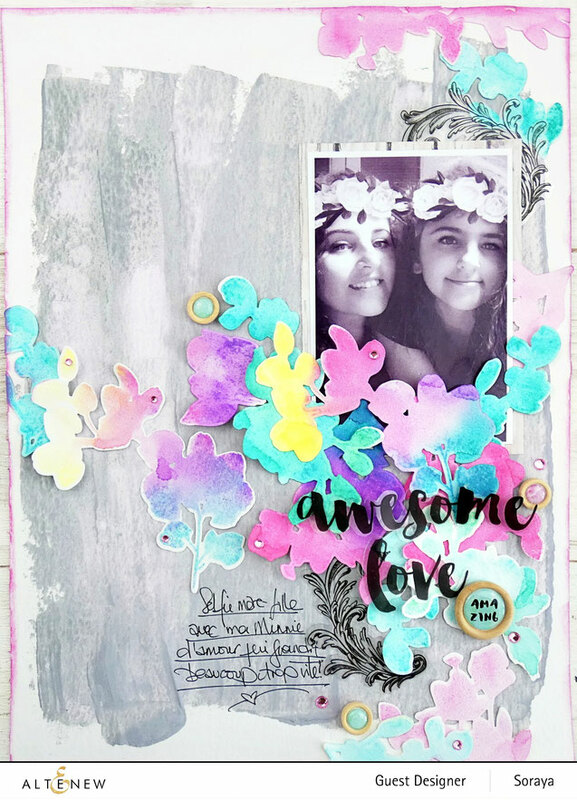 Beautiful layouts - I especially love the pastel florals you used in the first one - they complement the flower crowns the girls are wearing beautifully! Beautiful pages! Love the designs and colors! What gorgeous colours and layouts. Makes me what to do some myself! Both layouts have beautiful color palettes! I love the bright florals against the grey background on your first page, but the soft colors and white embossing is very sweet on the second layout. Lovely work! My goodness, your layouts are stunning works of art! I find them both amazing! Thank you for sharing your talents! Awesome release! Wonderful creations! I especially love the layout with the big flowers! I really love both of these scrapbook layouts but that second one just pops!!!! Such pretty layouts! Love the colors and your backgrounds. Your color palette & layout designs are very complimenting. love love. 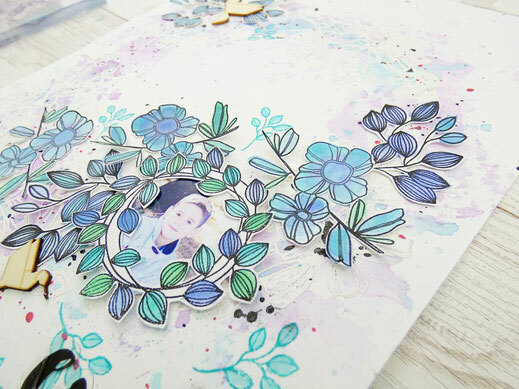 I LOVE LOVE the background of the layout with the white embossed stamps and watercolors to coordinate with the flowers you cut. Great idea, thank you for sharing! Oh, these layouts are all pretty and I love the black-and-white photo one especially. Gorgeous layouts!! Love the colors on both of them.